Happy Monday! 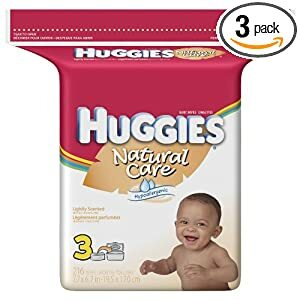 I'm looking through Amazon right now and I'm seeing some nice deals on baby wipes. In order to get the best deal you'll need to be signed up for Amazon Mom (it's FREE to join!) and make your purchase with Subscribe & Save. Keep in mind that you're under no obligation when you place your order with Subscribe & Save. You simply need to log into your account and cancel the S&S option after your order ships.